The biggest surprise during the upcoming Google I/O conference would be if we don't see a 7-inch Asus-built Nexus tablet running Android 4.1 Jelly Bean -- the expected name for the next version of Android. Reports have been circulating for weeks that a 7-inch Jelly Bean tablet would debut during Google's developer conference, which starts Wednesday. And now, hours before Google I/O kicks off, a new report from Bloomberg claims that an Android tablet is slated for unveiling this week, but with a slight twist. Google uses its Nexus brand to market flagship devices for each new version of Android, but has yet to create a Nexus tablet. Expected specs for the new Nexus tablet include a 7-inch display with 1280-by-800, 1.3GHz quad-core Nvidia Tegra 3 processor, 1GB RAM, and 8GB or 16GB of storage. Asus in January was showing off an early design for a similar tablet called MeMo ME370T. 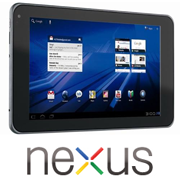 It's not clear whether the new Nexus tablet would be based on that design. Google’s executive chairman, Eric Schmidt, said in December that the company planned to market a tablet “of the highest quality” before the end of June. Google has pretty much confirmed that the next version of Android will be called Jelly Bean. 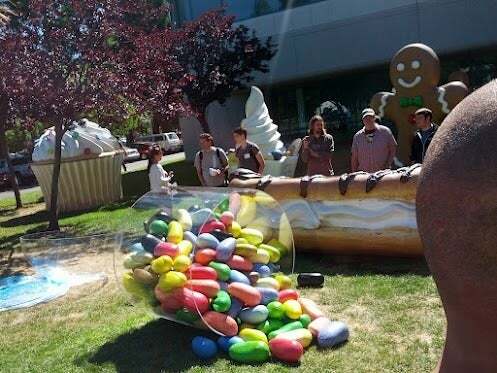 The search giant posted a photo to its Google Developers page on Google+ showing a giant Jelly Bean statue at the Googleplex campus. Google traditionally erects a new statue for every Android flavor such as a frozen yogurt cup for Android 2.2, Froyo and a gingerbread man for 2.3, Gingerbread. Google has two keynote addresses slated for Google I/O this week. The first one starts at 9:30 a.m. Pacific/12:30 p.m. Eastern on Wednesday. The second is scheduled for 10:00 am Pacific/1:00 p.m. Eastern on Thursday. You can follow along for news and commentary with the live blog on TechHive Beat Blog. Google will also be live streaming the keynote events and more than 40 conference sessions on its developer site.